Subaru has launched a new interactive dynamic brochure for the all-new 2013 BRZ along with every car in their lineup. Subaru has recently released an all-new 2013 BRZ interactive dynamic brochure that gives buyers the ability to go online and view a fully loaded full color brochure of the new BRZ. Subaru has loaded the 2013 BRZ Dynamic Brochure with a 360 degree view color selector, interactive demos, full feature details and videos of the two new two-door sports car. The newly released BRZ dynamic online brochure offers 18 pages of interactive tools where fans can zoom in, bookmark pages or print all or select pages. In addition to the 2013 BRZ interactive brochure, Subaru has launched brochures for their entire lineup. It includes the 2013 Impreza WRX and WRX STI, 2013 Impreza, 2013 XV Crosstrek, 2013 Outback, 2013 Legacy, 2013 Forester, 2013 Tribeca and also the 2012 models. They also have a 2012 Life Book with 44 pages “Live by the moment, love by the mile.” The 2012 Life Book shows where Subaru owners can hit the trail, support their favorite charities, and a place where owners can tell their own story of why "I love my Subaru." The 2013 Subaru BRZ rear-drive sports car that was jointly developed along with the 2013 Scion FR-S, has been wildly popular with buyers around the globe. The Japanese daily Nikkel says that due to overwhelming demand, deliveries of the Subaru BRZ in the Japanese market will be pushed to January 2013. The parent company of Subaru, Fuji Heavy Industries is reporting demand is four times higher than what they forecast. With a base model 2013 Subaru BRZ starting at $25,495 here in the U.S., the rear-wheel-drive affordable sports car has also been in high demand in North America. Subaru Australia has experienced such good sales that they have managed to source extra production of its high-demand BRZ sports car in February and March next year. The extra allocation of 140 vehicles means customers due to receive cars from May onwards will achieve better than anticipated delivery dates. The 2013 BRZ offers affordable fun for driving enthusiasts. The 2.0-liter Subaru boxer engine develops 200 horsepower and has a low center of gravity which gives the rear-drive coupe a true sports car feel. The design gives the car a dynamically favorable front-to-rear weight ratio of 53:47 and a low center of gravity comparable to some exotic supercars. The car weighs just 2,800 pounds and utilizes an aluminum hood to save weight. We reported here that Subaru is working on a convertible version of the BRZ and it is expected to bring a production drop-top to North America in 2014. 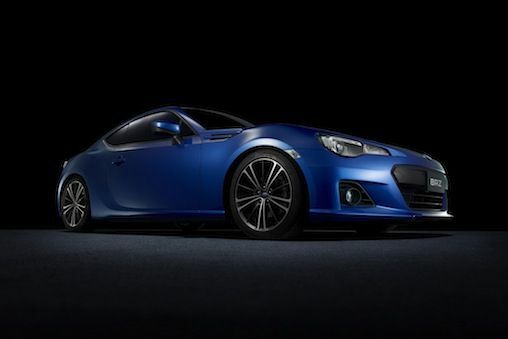 And it also looks like Subaru is working on a new turbocharged BRZ that will also see production and offered as a 2014 model here in the U.S. The new 2014 BRZ is going to be much more interesting.